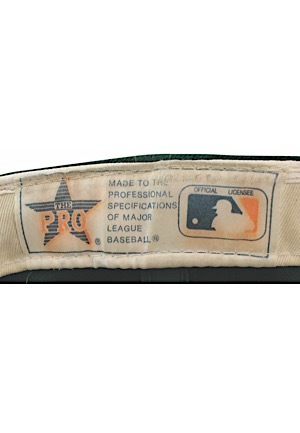 In the rear sweatband is the Sports Specialties size “7 ?” flag tag with hat materials. Adjacent to the left is a MLB official license tag. 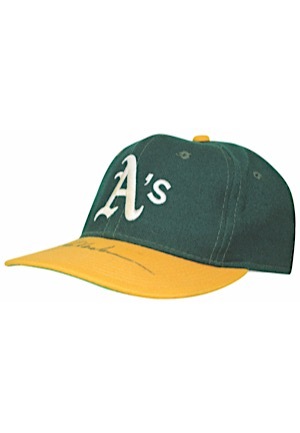 The team’s “A’s” logo is on the front and on the back is a “MLB” logo. 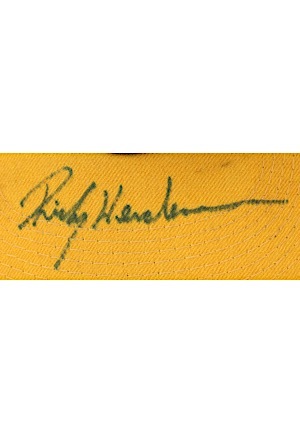 Rickey Henderson signed the bill of the cap in blue marker and in our opinion the signature rates a strong 8. 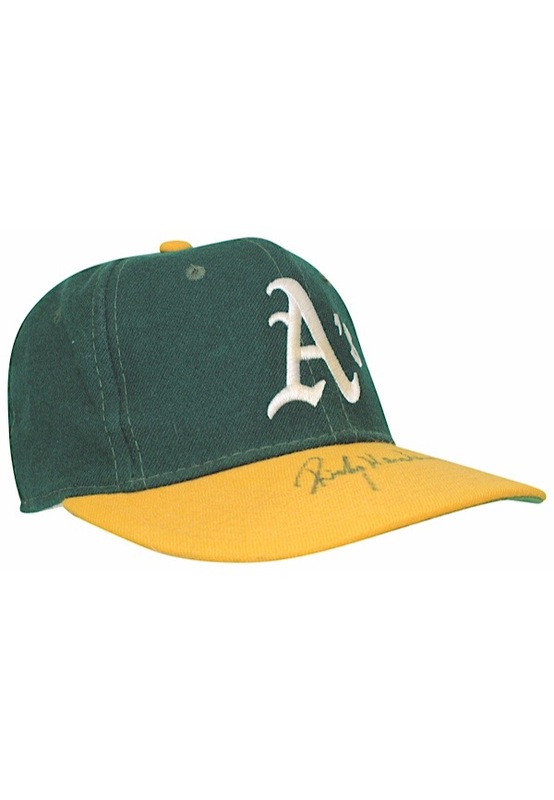 This cap is properly tagged and was presented to us as game-used attributed to Rickey Henderson. Accompanied by a LOA from JSA.